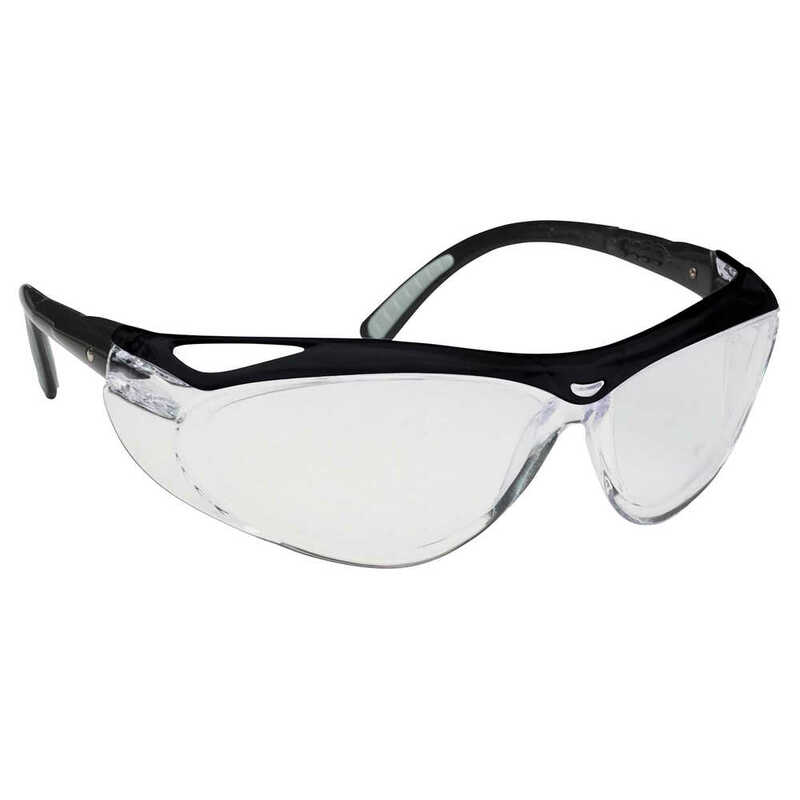 Envision Protective Eyewear from Jackson Safety gives you reliable, economical eye protection with extra features your workers will appreciate. The protective eyewear features a sleek design with four-point ratchet temples, which provide a customized fit for enhanced comfort. Envision Safety Glasses feature a brow guard for enhanced protection and coverage, and the lenses are hard coated for scratch resistance and longer life. These safety glasses are indoor / outdoor (with black frames), so they work wherever you are. The polycarbonate lenses provide 99.9% UVA/UVB/UVC protection. They meet the ANSI Z87.1+ standards for impact and are TAA compliant. When you want to give your workers comfortable, sporty eye protection at an economical price point, the Jackson Safety Envision Glasses are a great option.